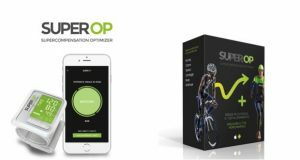 During the two days of the race it will be possible to discover the technology of SuperOp, the innovative tool to evaluate your condition to better manage workouts. USING SUPEROP IS SIMPLE AND FAST YOU MEASURE. KNOW YOUR CONDITION. UPEROP evaluates your organic receptivity to training, on a scale from 0% to 100%, from the daily measures of beating and pressure taken on awakening. SuperOp-620×330 So you can easily modulate your work in intensity and duration, to always get the best improvement. If you have a coach, you can also share SUPEROP data with him to get the most out of it.